♪ ‘Sposa son disprezzata’, Irene’s aria from Bajazed by A.Vivaldi: The opera is about the war between the Sultan of the Ottoman Empire Bajazed and the Turko-Mongol conqueror Timur (Tamerlane). Here, Irene, the Princess of Trabzon (The Trebizond Empire) laments from the unfaithfullness of her fiancée Timur. 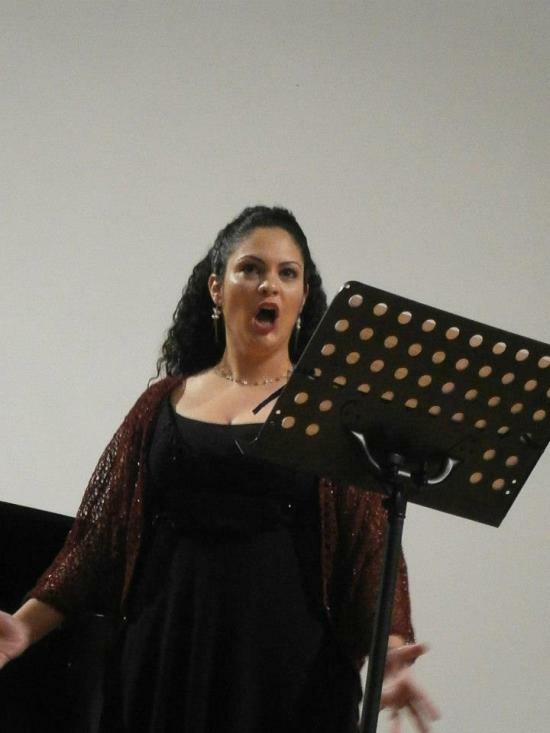 ♪ ‘In uomini, in soldati’, Despina’s aria from Cosi Fan Tutte by W.A.Mozart: The sisters Fiordiligi and Dorabella are upset as their lovers are now away, however Despina, the smart maid, tells them that men are unfaithful and they should not be miserable by their absence. ♪ ‘Durch Zärtlichkeit und schmeicheln’, Blonde/Blondchen’s aria from Die Entführung aus dem Serail (The Abduction from the Seraglio) by W.A.Mozart: Konstanze’s English maid Blonde is now assigned to Osmin. She tries to convince him that the way to a European woman’s heart is merely tenderness. ♪ ‘Quel guardo il cavaliere... So anch’io la virtu’ magica’, Norina’s aria from Don Pasquale by G.Donizetti: The young and charming widow Norina reads a novel about love and then she starts to think that she knows every trick to conquer a heart. ♪ Il fervido desiderio, is among the most exquisite examples of V.Bellini’s chamber music compositions and of Bel Canto style. The song is about the impatience of a tender heart to see the beloved one. ♪ ‘Volta la terrea’, Oscar’s aria from Un Ballo in Maschera (The Masked Ball) by G.Verdi: The young page Oscar speaks up in the presence of Governor Riccardo underlining that every word of the fortune teller Ulrica is absolutely right. Thus Oscar saves Ulrica from exile. ♪ ‘’Les oiseaux dans la charmille’, Olympia’s aria (The Doll Song) from Les Contes d’Hoffmann (The Tales of Hoffmann) by J.Offenbach: is indeed one of the most difficult pieces written for coloratura soprano voice which demands a very high register (high E flat over high C) and virtuosic flexibility. Spalanzani, the inventor of the doll Olympia, asks her to sing for his guests. ♪ Dolama: is one of the oldest and best known pieces of the Turkish Cypriot Culture. It was compiled by the elaborate work of Yılmaz Taner and Mahmut İslamoğlu and yet without stepping out of its roots, it has been re-arranged with a classical touch by Atakan Sarı and Laden İnce.